I'm not going to lie, I already miss Google Reader. Change is hard for me. I was one of those people who wanted to keep Word Perfect with the blue background, sad I know. Well we only have a few more days of Google Reader... so here are a few of your options. I've imported my Google Reader information over to Bloglovin & Feedly. I haven't spent enough time with either one yet to know which I like more. Enter your email address to have my blog delivered to your email. Monica over at Happy Zombie did a great post on Bloglovin. Here are a few other blog posts that have information on your options. 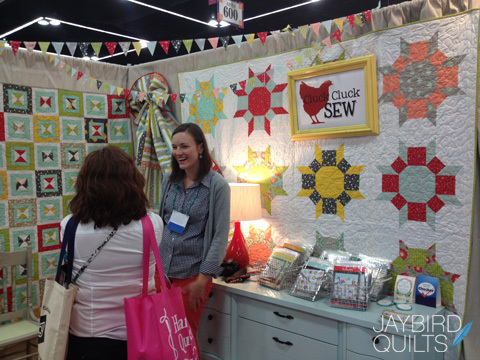 Whichever way you choose to read Jaybird Quilts, I'll be here! Today starts week 5 for the #Tula100 quilt a long. All of the details can be found on Sara's blog, Sew Sweetness. 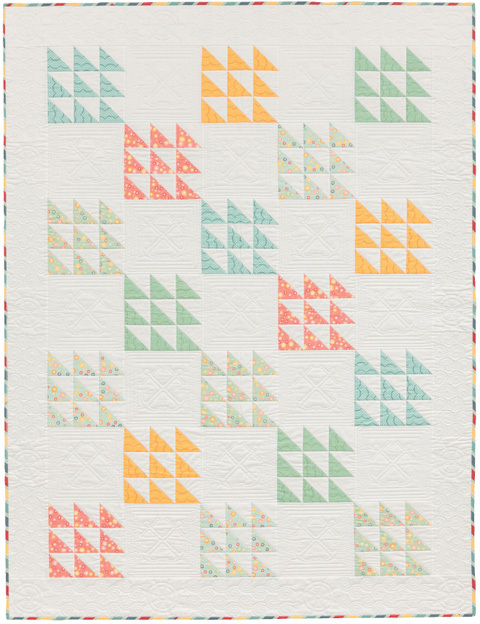 Here is a peek at my blocks 13-15. Check out the full post on Sara's blog to see more. 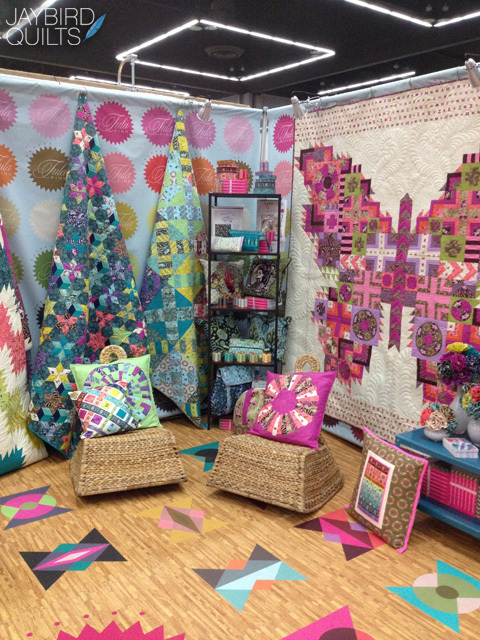 I am co-hosting a Sew Along for Tula Pink's new book!! We will be making 3 blocks a week until we complete our blocks. You can join in at any time. Join our Flickr group to share your blocks with everyone! Use the hastag #tula100 on Instagram & Twitter to share too!! 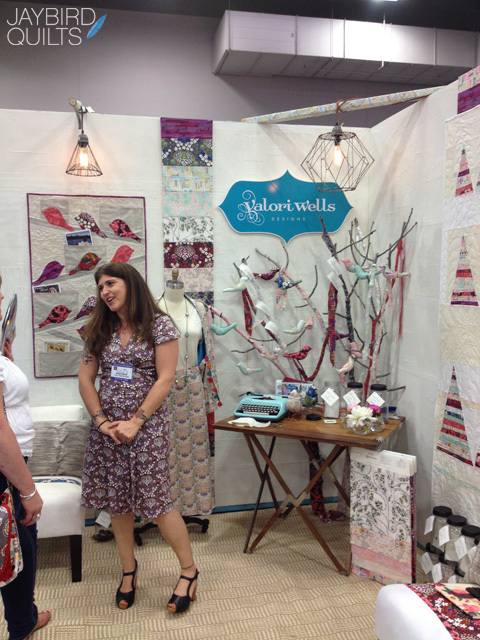 The "Sew Along" will be hosted on Sara's blog. Each week you'll see blocks from Sara, Gina, Emily & myself. 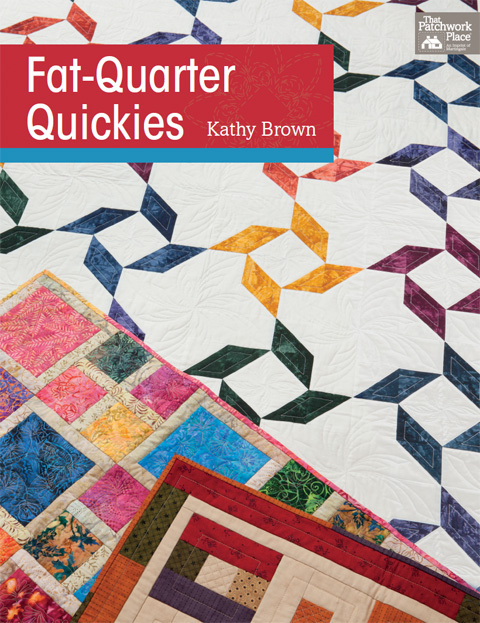 We were recently given an E-copy of Kathy Brown's new Book Fat-Quarter Quickies . 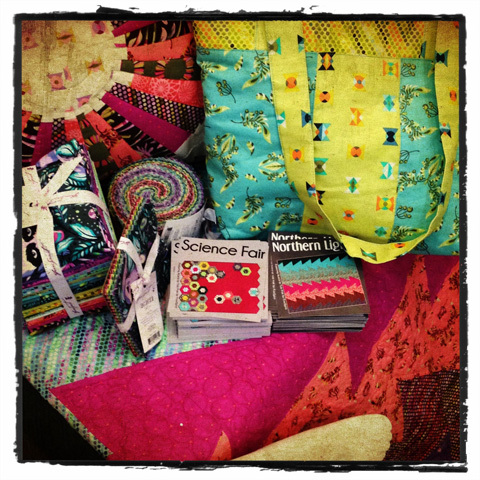 The book is filled with great projects that will use up some of the fat quarter bundles you have laying around. 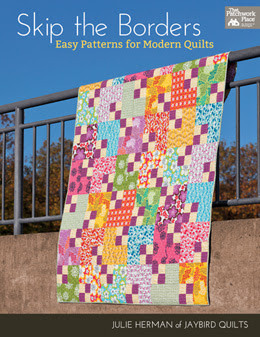 The book also features Kathy's Fat Quarter Cutter, a ruler she designed specifically for cutting up fat quarters. 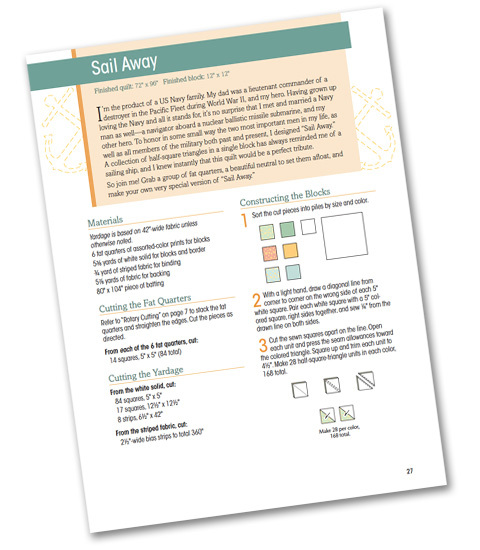 My favorite project in the book is called Sail Away. 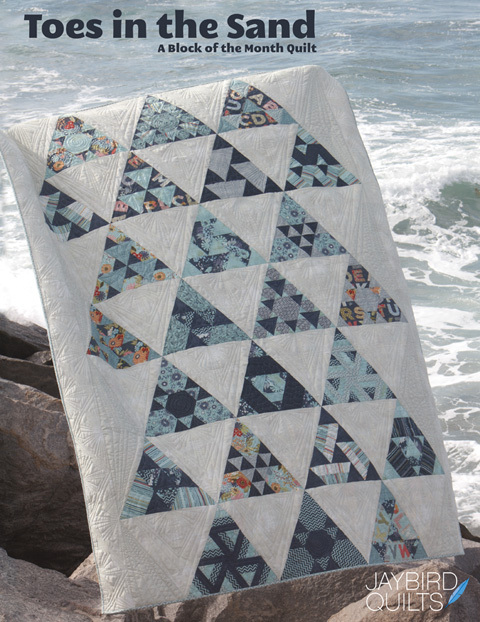 It features beautiful triangles against a crisp white background. 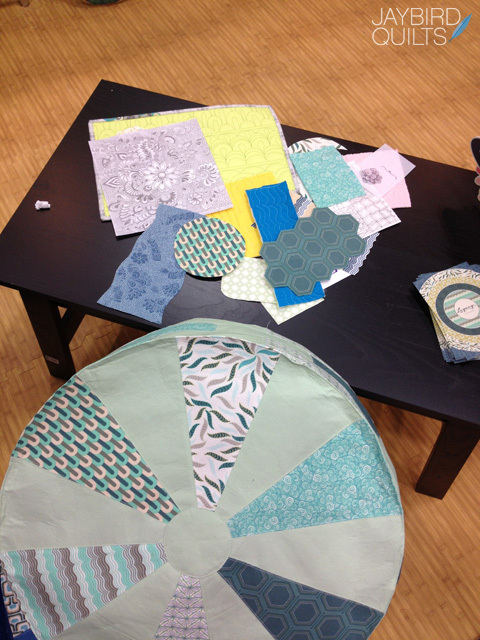 The quilt looks like it will come together very easily and is great for someone just learning to quilt. Kathy has written 3 other books for Martingale. If you have read any of her other books you know that she has a "story" to go with each quilt. This book is no different and I enjoyed reading the stories at the start of each pattern. The book is filled with many easy to follow directions to make lots of projects at all skill levels. Here are a few other of our favorites from the book. 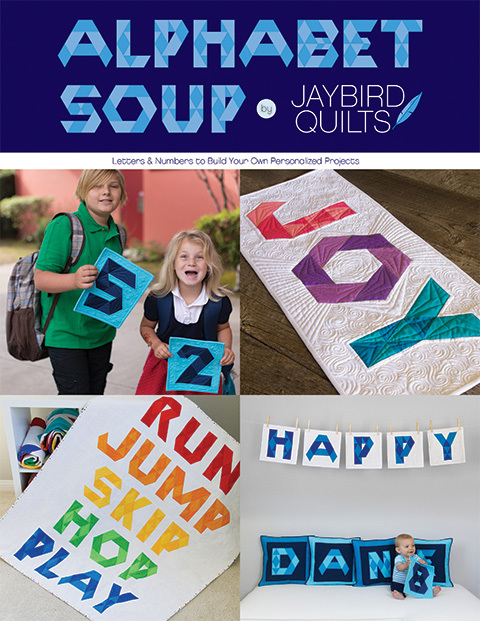 Martingale has generously offered to send a free e-book to one lucky Jaybird Quilts reader. 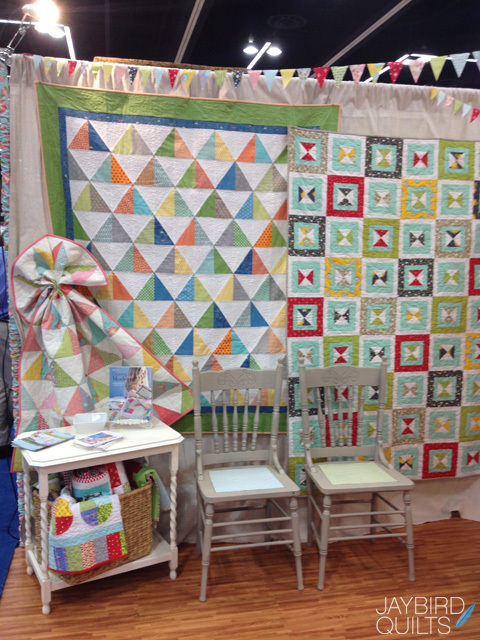 To enter please leave us one comment telling us about your favorite way to use fat quarters. 1. Leave ONE comment to enter. Make sure your contact info is in your profile or that you leave it in the comment. 2. 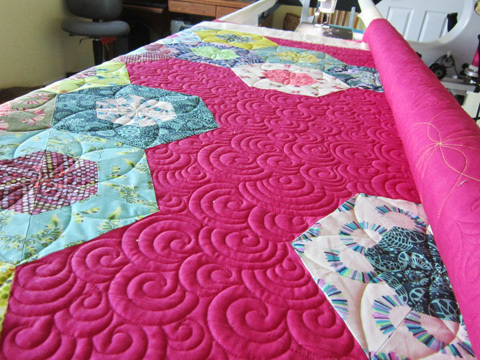 In your comment tell us about your favorite way to use fat quarters. 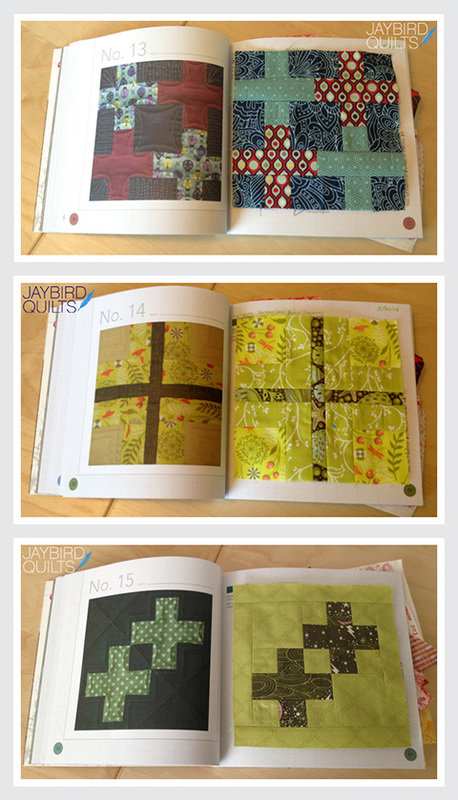 My favorite way to use fat quarters is to cut them into squares and make nine patch blocks. 3. 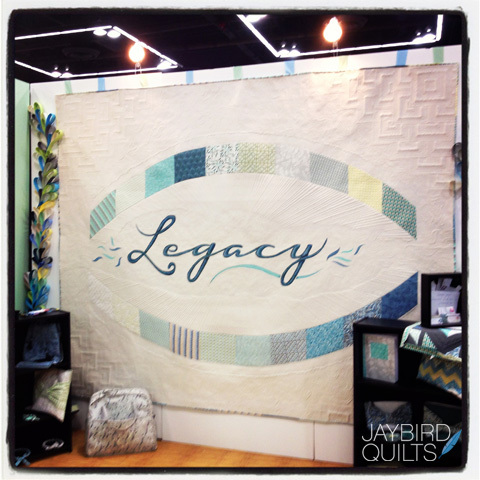 Comment entries must be left on this blog, www.jaybirdquilts.com, to be valid. Comments sent via E-mail, Facebook, Twitter, Instagram or any other social media will not be counted. You have till 9PM PST on Wednesday the 26th to enter. Giveaway now closed. Winner announced soon. Winner will be selected by True Random Number Generator. 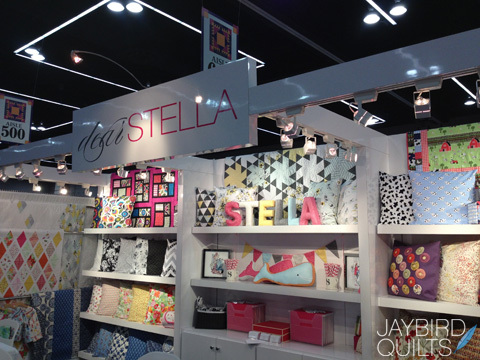 I had to start my day by visiting Tula Pink's booth & take some photos. Her booth was amazing as always. 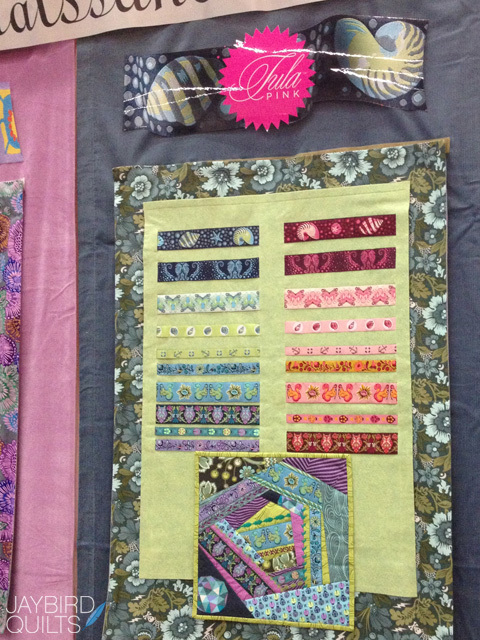 Tula Pink's new ribbons with Renaissance Ribbons. 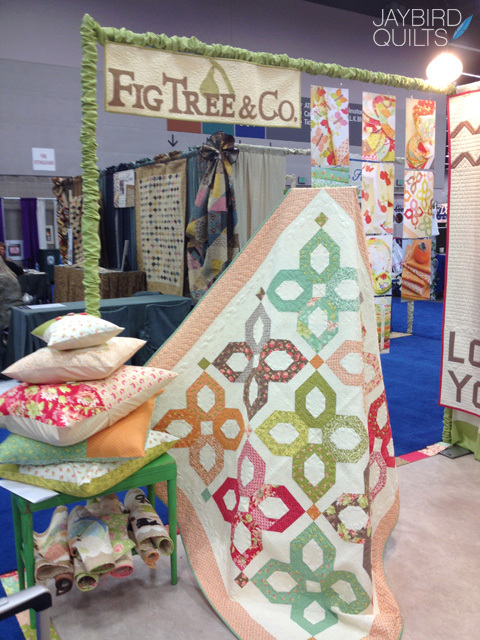 Two of my quilts were featured in the Freespirit booth. I made Northern Lights from Tula Pink's new Acacia fabric. 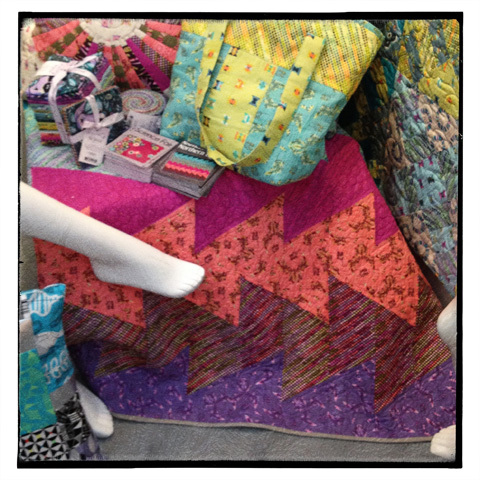 It was quilted by Teresa just days before Market! I haven't had a chance to take a finished photo yet... but here is one Teresa took right after she quilted it. Here you can see Science Fair. 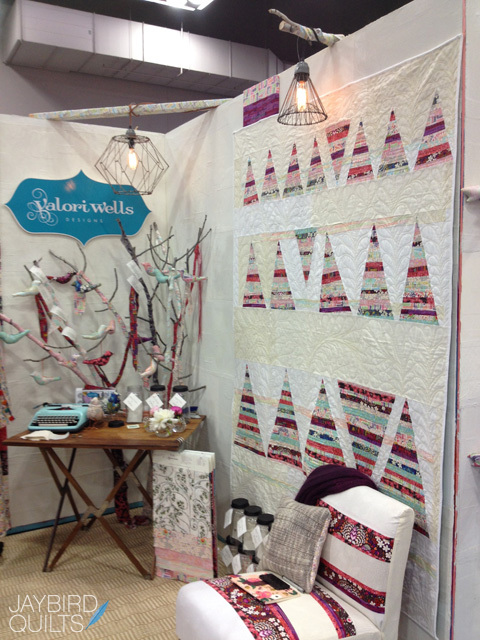 It was also quilted by Teresa last minute! 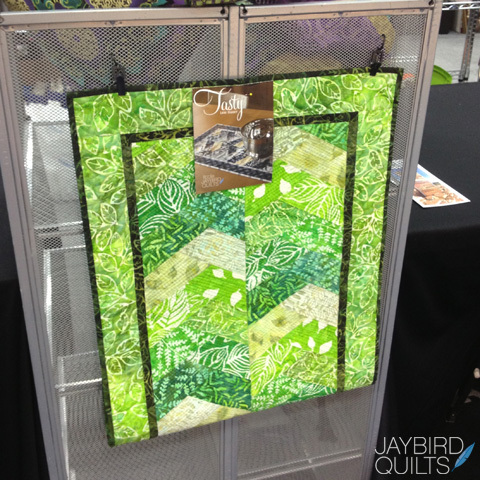 You can see the detail in the quilting in this photo that Teresa took. I made "Kit Cards" for the two quilts. This way interested shops could get all the information they needed to make the two quilts exactly the way that I did. 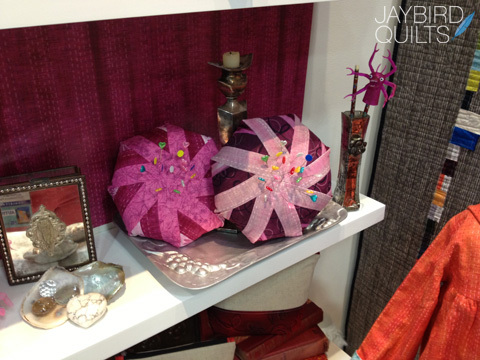 My Biscuit Pincushions in "Studio Stash" by Jennifer Sampou for Robert Kaufman. 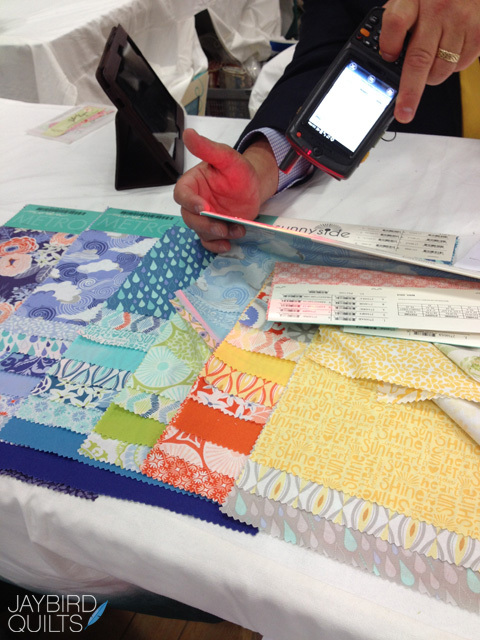 Ordering some fabric from Moda. 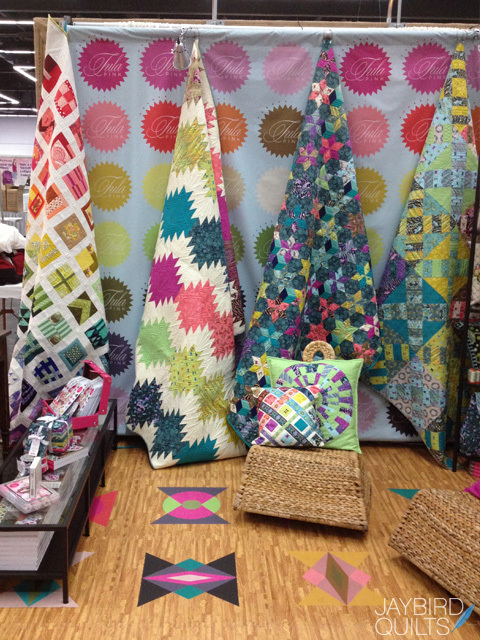 This is Kate Spain's new line called Sunnyside. My Tasty Table Runner in Artisan Batiks: Color Source 2 by Lunn Studios for Robert Kaufman. It was on display in the Checker booth. My Snack Time quilt in Kona Solids Robert Kaufman. 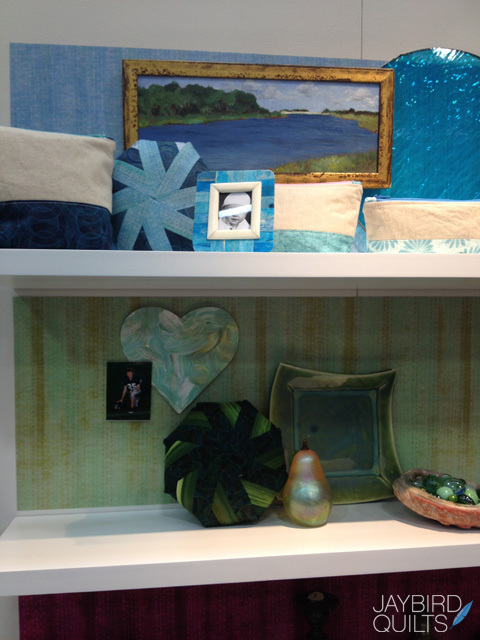 It was also on display in the Robert Kaufman booth. 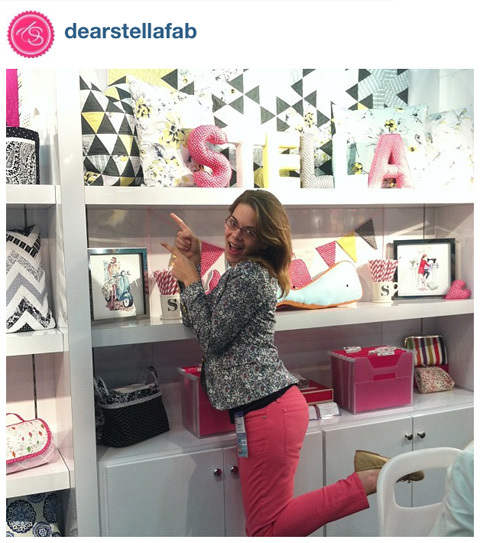 Here I am acting silly in Dear Stella's booth. I'm pointing to my triangle pillow. Tutorial coming soon! 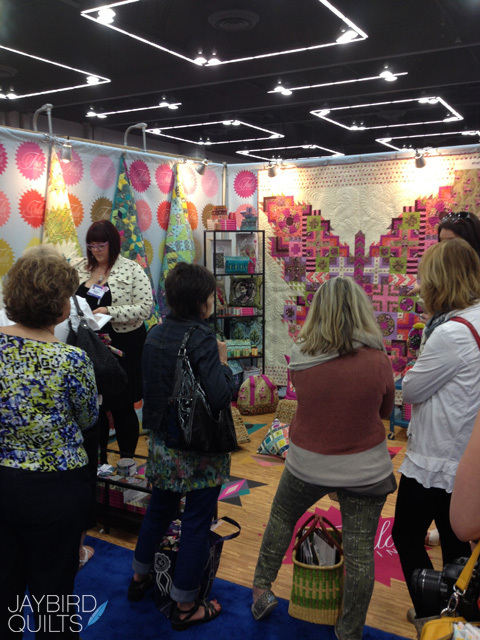 Tula Pink's booth was packed while she signed copies of her new book, Tula Pink's City Sampler: 100 Modern Quilt Blocks. 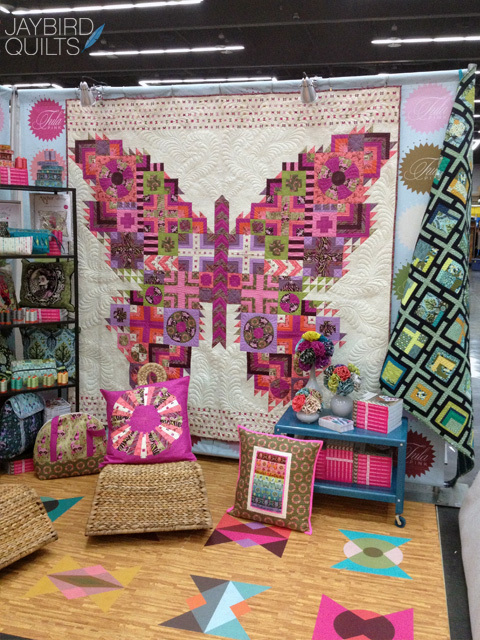 My love my quilters!! 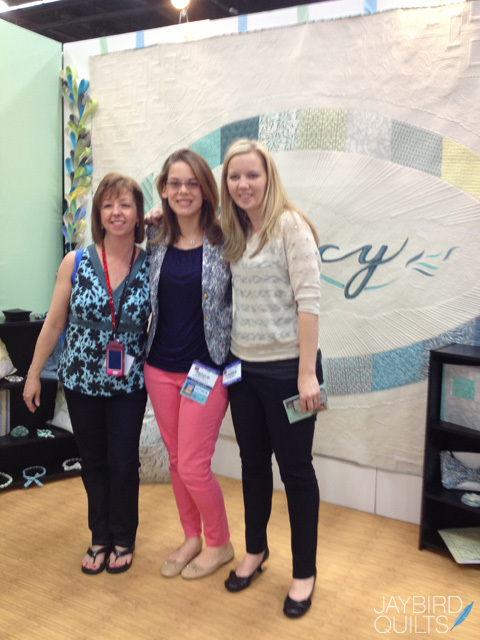 We are hanging out in Angela's booth. Sketches that led to Angela's fabric designs. 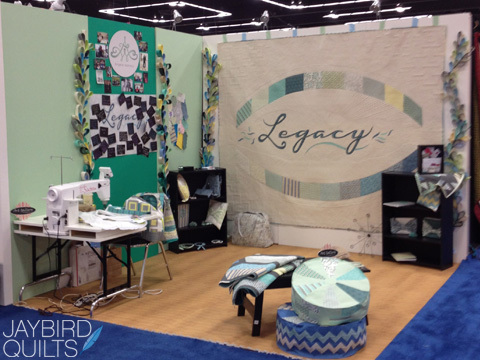 Angela's feature quilt for her new fabric line Legacy. 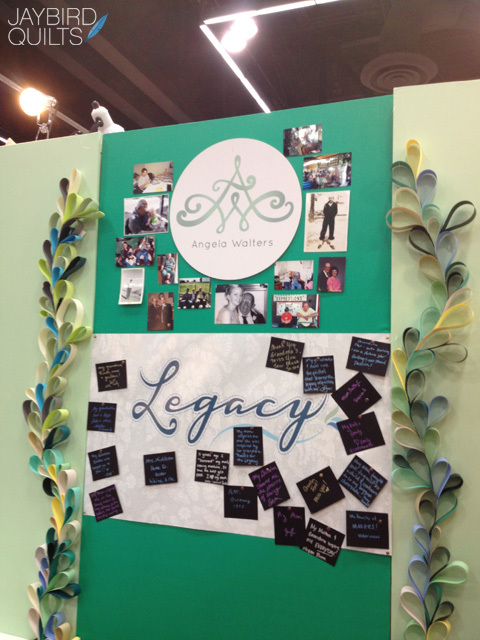 Here is Angela's entire booth. I caught the Dear Stella team busy posting to social media. 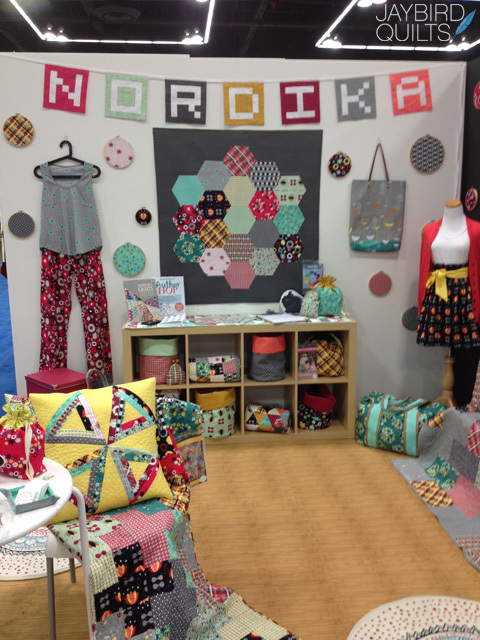 My Snack Time quilt in Artisan Batiks: Color Source 2 by Lunn Studios for Robert Kaufman. 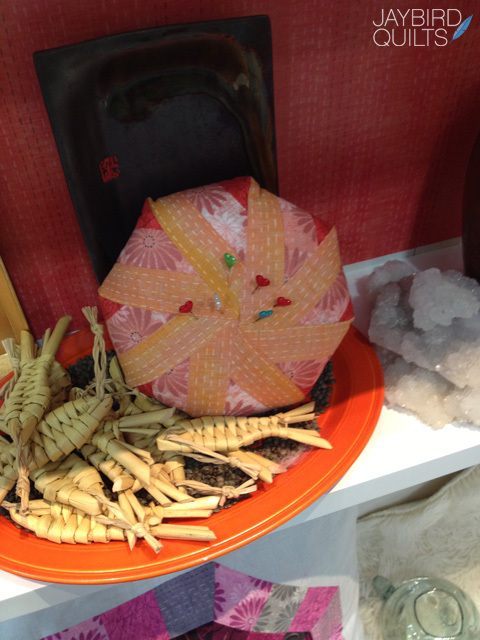 It was on display in the Robert Kaufman booth. Simply Style by Vanessa of V&Co. 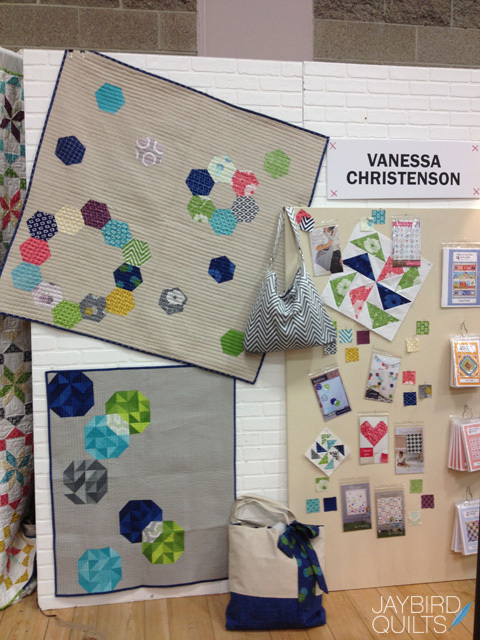 My Snack Time quilt in Simply Style by Vanessa of V&Co. It was on display in the United Notions booth. 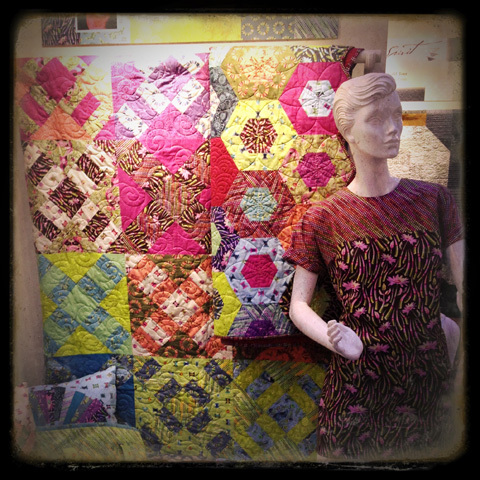 It was quilted by Teresa just days before Market! 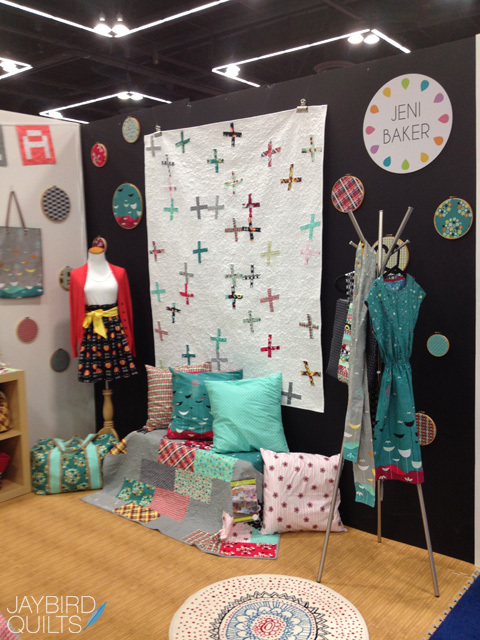 Guest Designer for Anthology Fabrics!! 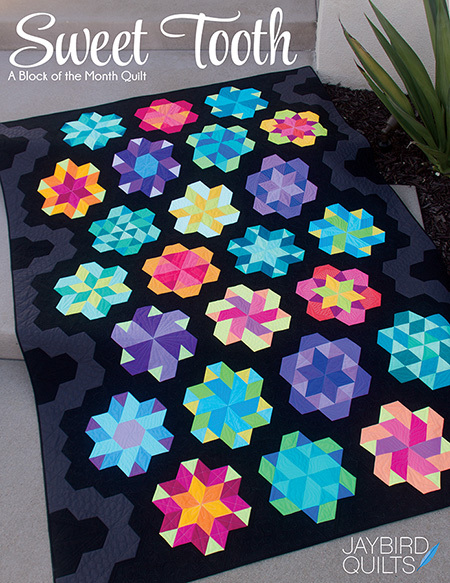 A full color book featuring 36 distinct quilt blocks constructed using the Hex N More & Super Sidekick rulers. 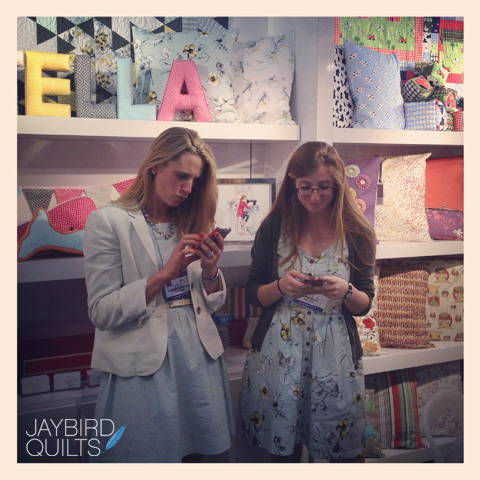 Share your blocks & projects online using #JaybirdAlphabet. 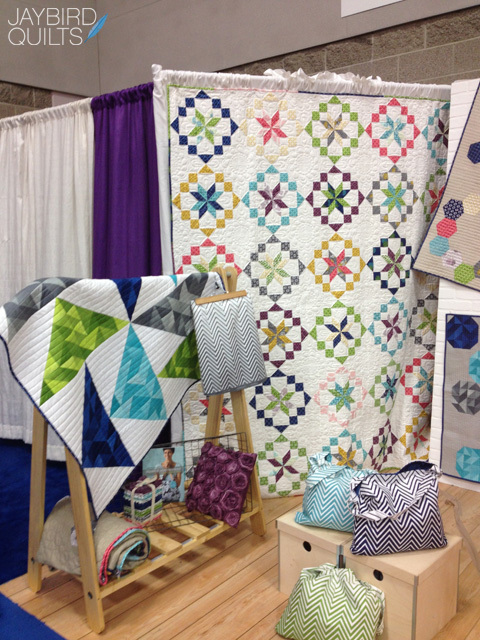 A full color book featuring 12 distinct quilt blocks constructed using the Hex N More & Super Sidekick rulers. 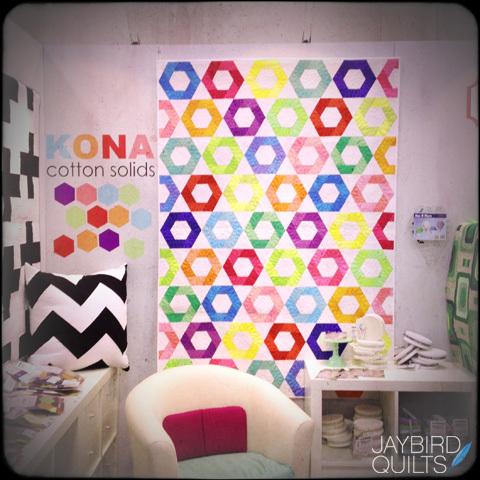 Share your blocks, tops & quilts online using #SweetToothQuilt. 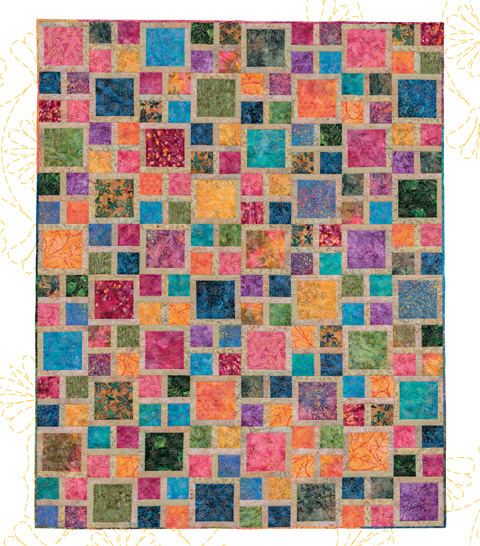 A full color book featuring nine distinct diamond quilt blocks constructed using the Hex N More & Super Sidekick rulers. 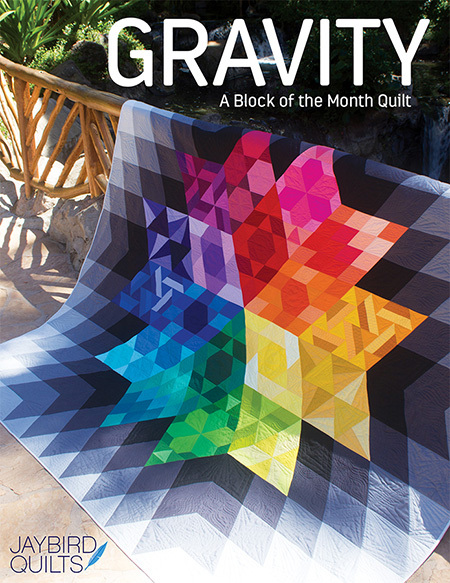 Share your blocks, tops & quilts online using #GravityQuilt. 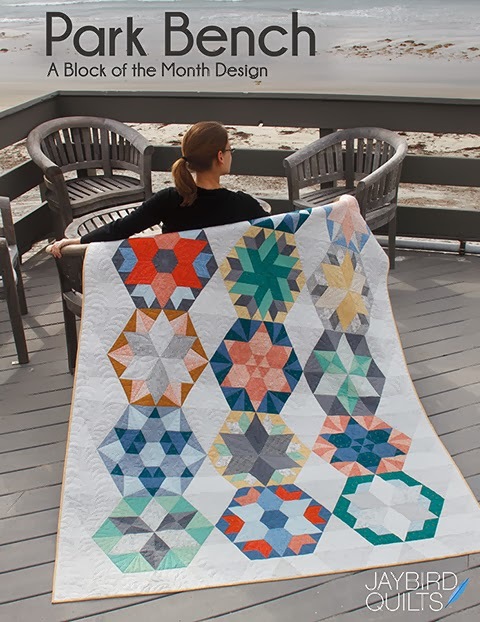 A full color book featuring eight distinct hexagon quilt blocks constructed using the Hex N More & Sidekick rulers. 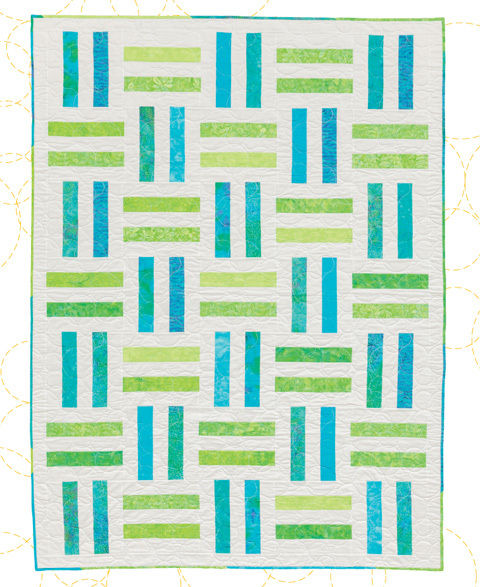 Share your blocks, tops & quilts online using #ParkBenchQuilt. 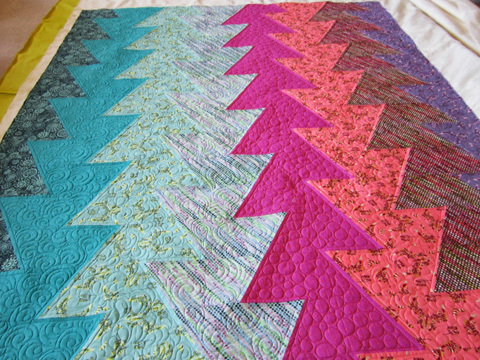 A full color book featuring twelve distinct triangle quilt blocks constructed using the Hex N More ruler. 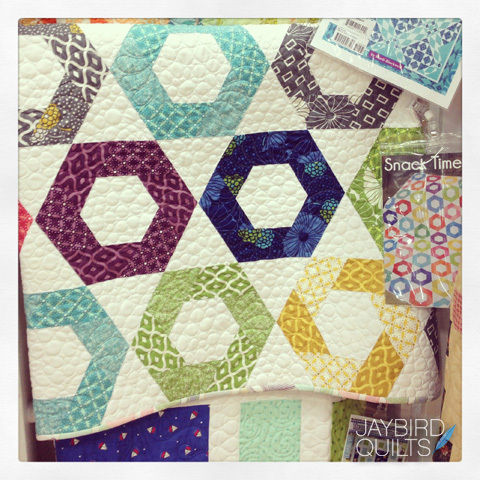 Share your blocks, tops & quilts online using #ToesInTheSandQAL. I wrote a book! Details can be found in this blog post. Ask for it at your local quilt shop. sew & flip hexagon tutorial! I work hard on all of this stuff. If you'd like to use a picture please ask. questions? 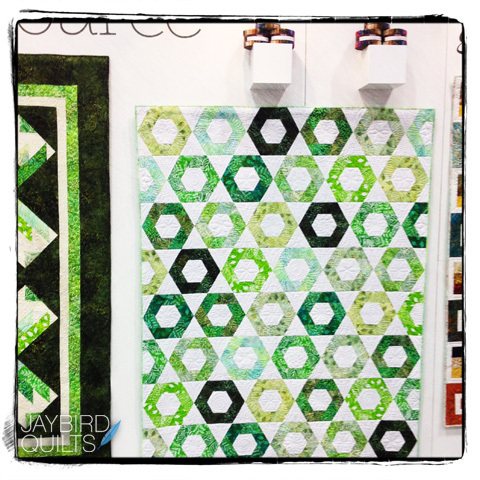 ask me at jaybirdquilts at gmail.com.